Create Facebook page tabs using your own custom html. Display anything you want within the tab, using HTML, an uploaded image, or an existing URL. 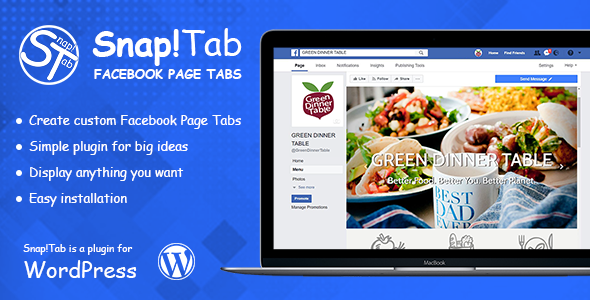 All you have to do is creat a page on your WordPress site and the Snap!Tab will show it inside the Facebook page tab. Snap!Tab is a simple WordPress plugin for big ideas. HTTPS – Your WordPress site must use SSL.